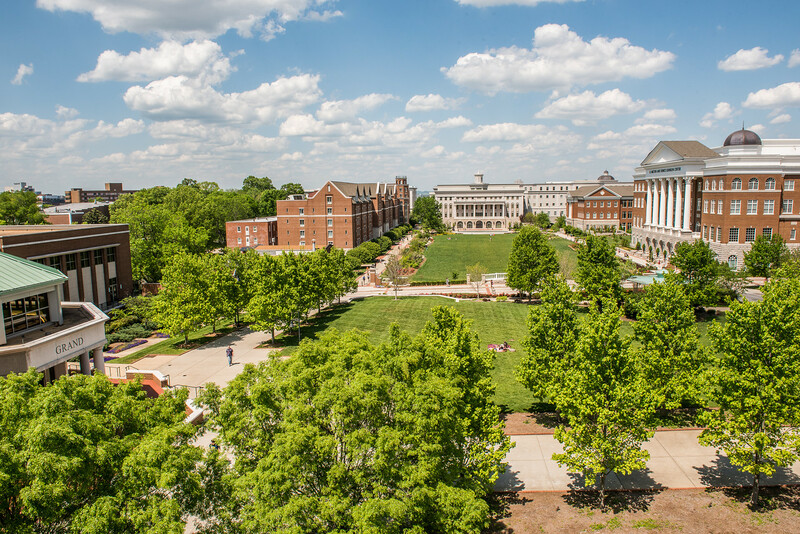 The Arbor Day Foundation recently honored Belmont University for its conservation efforts and its commitment to effective urban forest management by recognizing it as a Tree Campus USA® for 2016. This is Belmont’s 3rd consecutive year receiving the recognition. Created in 2008, Tree Campus USA® is a national program that honors colleges and universities committed to engaging staff and students in conservation goals. Belmont achieved the title by meeting the programs’ five standards, which include maintaining a tree advisory committee, having a campus tree care plan, dedicating annual expenditures for its campus tree program, having an Arbor Day observance and engaging students in a related service-learning project. Belmont is one of only 296 campuses across the country to achieve this honor. Belmont is committed to its campus-wide sustainability efforts and has a number of green initiatives that contribute to campus conservation including LEED certified buildings, educational and sustainable green roofs, geothermal heating and cooling systems and its Tennessee arboretum designation.